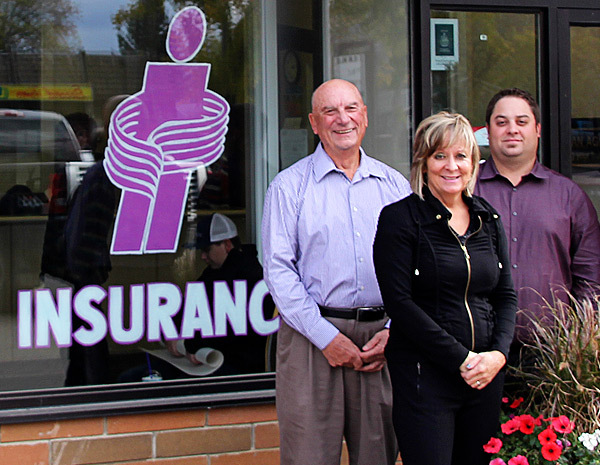 Our Independent General Insurance Brokerage was established in 1970 by Roger Baughan after he retired from the Canadian Army in Wainwright, AB. Daughter Darlene Baughan joined the firm in 1986 after moving back to Wainwright. She has her CAIB designation and over 32 years of experience in Insurance and Alberta Registries. We are now on the 3rd generation with Colter Andersen coming to the firm in 2007 after completing his Commerce Diploma at NAIT. We believe in remaining independent and have great working relations with all of our Insurers. We continue to grow along with the area of Wainwright which is growing rapidly. We have built a solid reputation based on customer satisfaction. We know our clientele and enjoy working with them to either sell them a plate for their vehicle or Taylor their insurance needs for their beater or Beamer, mansion or mobile home. We have seen it all in the past as we step into the paperless era which will be interesting! We also have offices in Irma, Hardisty and Viking to meet your insurance needs. We are rural but we have clients all over the Province, we are here for you. We’ve even done business via the internet from Afghanistan! Our staff is dedicated, loyal and experienced which is hard to find these days and they make the difference.